Protect yourself on the LARP battlefield when you add the Antonius Leather Tassets to your leather armour ensemble. 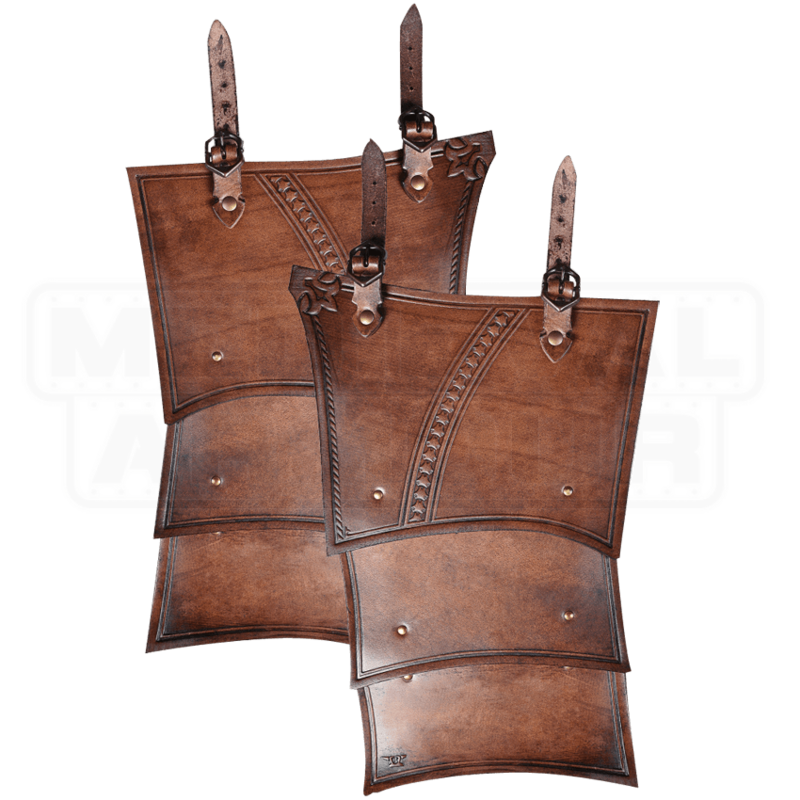 Using high-quality, handcrafted leather panels riveted together, this tasset pair helps defend your lower body. An embossed line adorns the top panel of each squarish tasset, and a small fleur de lis decorates the inner top corner. 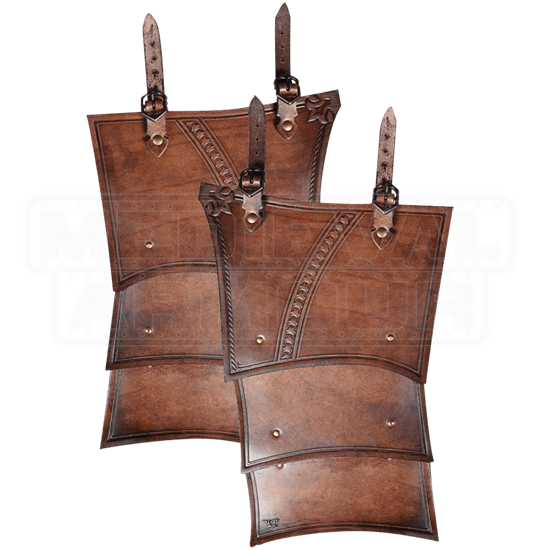 Use the two adjustable leather straps at the top of each tasset to secure them to your cuirass. Their structure and design perfectly complements the Antonius Leather Cuirass and Antonius Leather Spaulders. Sold as a pair, these tassets are great for LARP and historical costume use, adding style and protection to your armoured look. As this item is made from natural materials, its appearance may vary slightly from what is shown.